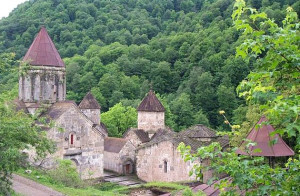 Dilijan’s most popular religious site is the Haghardzin Monastery (XII century), erected in the place of another 10th century monastery. 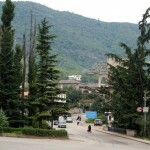 It is situated in the gorge of the stream Haghardzin, Aghstev River tributary, in the woods, cut off from civilization. 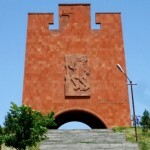 Haghardzin is 12 kilometers east of the city and consists of three churches and a dining hall. 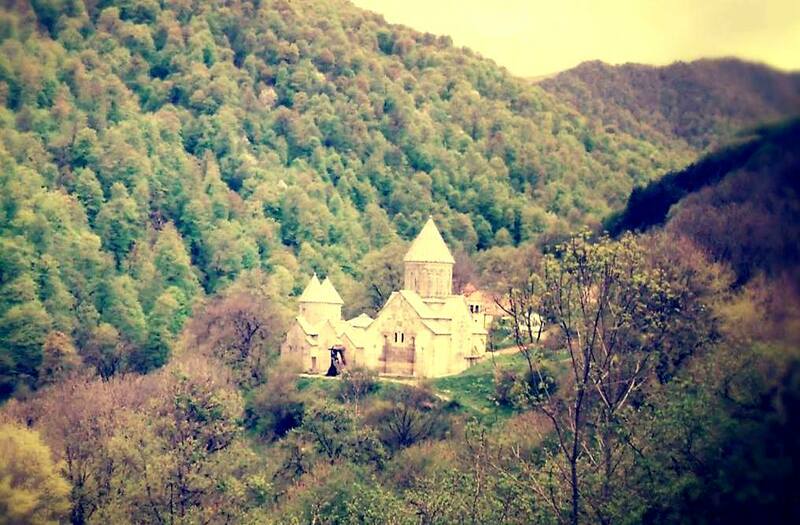 The monastery was built in the Middle Ages and the founder was Khachatur Taronetsi, a poet, musician and medieval musicologist. The oldest of the monastery’s churches, St. Gregory, was built in the 10th century. 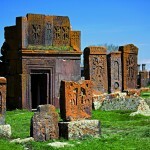 The small chapel Katoghike (1194) is a building with a nave, vaulted, blue basalt, where Khachatur Taronetsi is buried. The other churches, St. Stepanos and St. Astvatsatsin, date back to the 13th century. St. Astvatsatsin Church in Haghardzin (1281) deserves special mention. This is the biggest building of all, the artistic dominant of the ensemble. The tall sixteen-faceted dome, dominating all the other structures, is decorated with a graceful arcade, the bases of whose columns are connected with the band around the drum’s bottom. The most remarkable building is the dining hall of the complex made by the architect Minas in 1248. 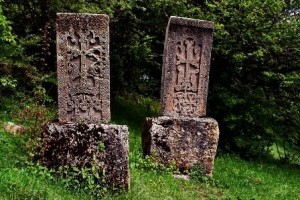 There are a number of khachkars in the complex.